Indoors, GPS technology is ineffective as line of sight to satellites is required (general GPS limitation). AngelSense provides different tools to overcome these limitations. 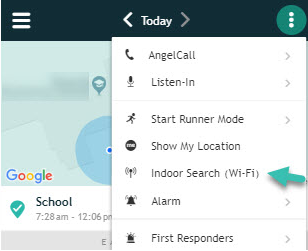 Our AngelSense Guardian GPS 2 device also supports Wi-Fi-based locations. In large indoor places with good Wi-Fi coverage this may provide additional hints to the child's exact location. 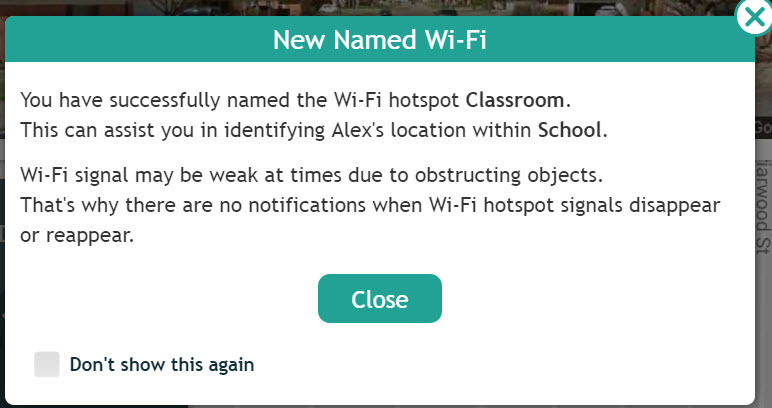 At the School location e.g., you could name Wi-Fi networks in order to get an idea for the potential area of school the child is located. (ex. office, classroom, etc...). This mapping is done once and then you can enjoy the insights of your child's location within school. To do this mapping you need to know where your child is currently e.g. by using the voice feature or knowing their itinerary. 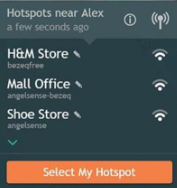 You can then name the first hotspot in the list (the strongest one) so that the next time your child is near that hotspot, you will know the location. Note: You are not connecting to these networks, only detecting their location relevant to the device. 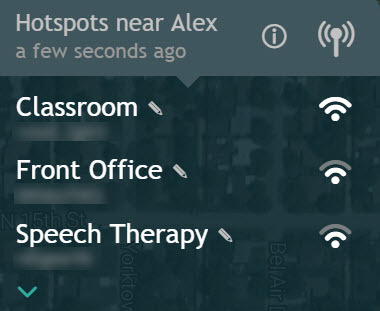 Select the pencil icon next to the Wi-Fi network you wish to name and enter the name. Select the Menu on the right hand side and click on "Indoor Search"
The system will show you the Wi-Fi hotspots near your child. The names of the strongest networks in the list can assist in finding your child. For example, “H&M store” as below, indicates your child is likely near or inside the H&M store. You can also turn on your own Mobile Hotspot to get a sense for your proximity to your child. 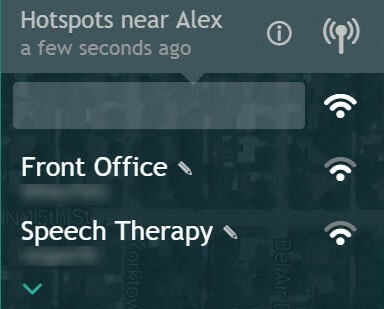 The WiFi networks’ name and signal strength are available without requiring you to be connected to them. These networks are not being used for communication purposes so connection is not required. The networks are only used to determine your child's location. NOTE: You must have our GPS 2 device. If you do not, please go to our AngelSense Store from the app to purchase it. The GPS 1 device does not support Wi-Fi.